Scope: Construction of a Charter School building, including demolition and removal of portion of existing building (including abatement), construction of a new addition and extensive renovation of existing building. 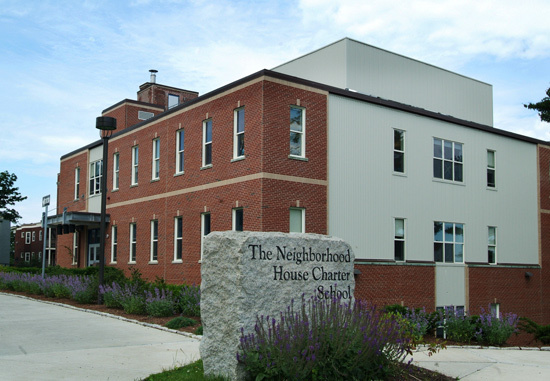 “We adapted a former nursing home into a PK-8 charter school that combines education with social services, as well as adult education in off-hours. This meant completely demolishing some wings and gutting the rest of the structure, reconfiguring the entire interior including core stairs and adding an elevator. We constructed a three-story steel frame with brick veneer addition to create additional classroom space on the street side, which became the focal point of the building. The site is in a residential neighborhood, so we needed to establish good relations, coordinating work to minimize noise and dust. A distinctive feature of this structure is the original precast stone exterior elevation that became part of the interior atrium at the new addition.